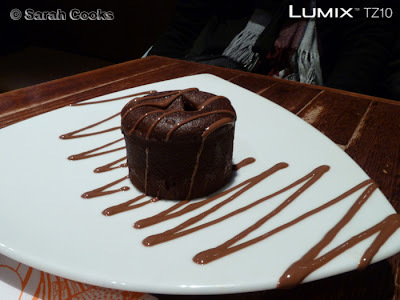 For the final in my series of Panasonic Lumix TZ10 posts, I thought I'd share some different pictures from various food-related adventures over the past few months. Hope you enjoy them!! 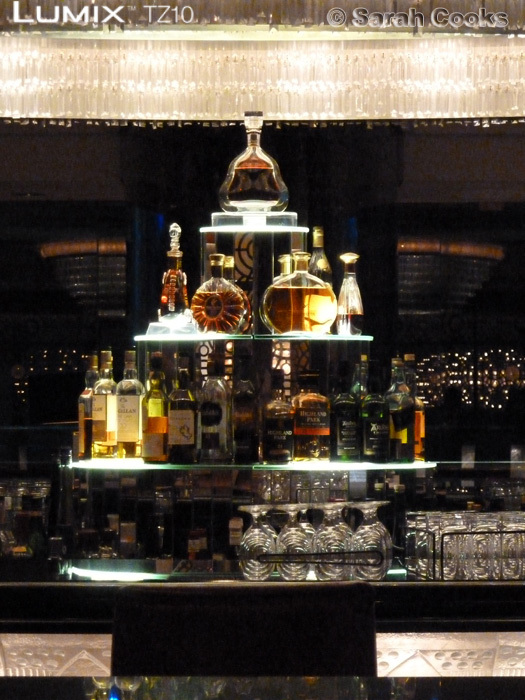 Next up are shots from the birthday dinner I made for my friend Kristine back in (eeep!) July. 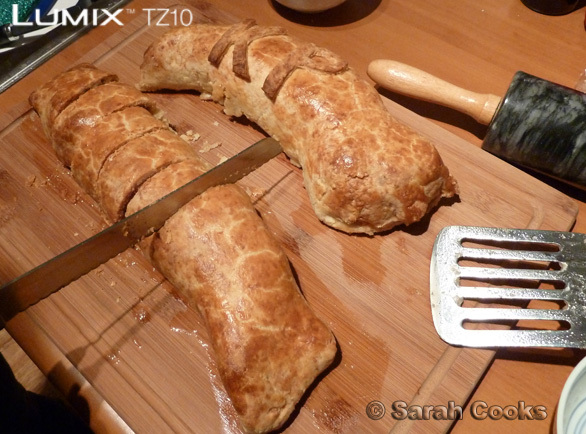 She specifically requested the meat-on-meat goodness of the pork wellington she'd seen on my blog. For those of you who don't remember, my pork wellington was an improvised recipe - pork fillet wrapped in proscuitto, sealed in a pan, wrapped in homemade puff pastry and baked. 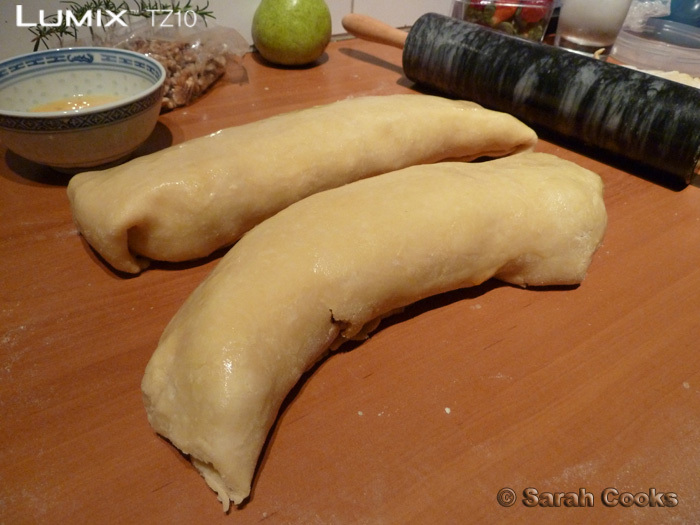 This time I changed it up a little, making a parmesan pastry (pastry recipe from Snowflakes and Schnapps). You'll see I added the birthday girl's initials to one of the rolls! These were served with a rocket, parmesan, pear and walnut salad, a potato gratin and creamy mushroom sauce. 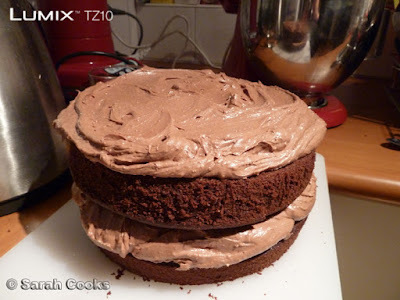 And for dessert, I made an old favourite, Nigella Lawson's chocolate fudge cake, this time with milk chocolate in the icing instead of dark chocolate. And a little edible glitter sparkle for our Twilight-loving girl! Huge slab of cake and a bit of self-loathing? Hehe. I know every other blogger has been, and I daresay the hype has died down already, but I wanted to let y'all know that I really enjoyed 3 Bags Full, in Abbotsford. We went late-ish on a Sunday arvo, and despite the long wait (first for a table, and then for our food to come out), the atmosphere was pleasant and staff were friendly and didn't forget about us. Food and coffee were great too. Yay! I was particularly impressed by my meal - cauliflower fritters with grilled halloumi, rocket and relish. Really tasty, and full of some of my fave ingredients! Must figure out a recipe for this to make at home. I think the combo would work spectacularly as a little canapé or starter. And now for something not quite as impressive as 3 Bags Full - Max Brenner. Funny thing is, I used to love it! 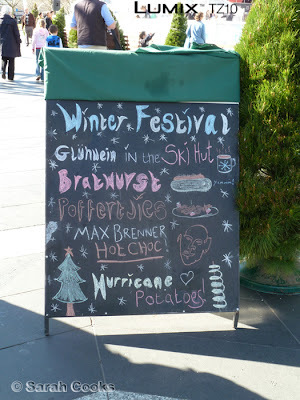 I first visited the Max Brenner in Harrods back in '04. This was after a mammoth trip around Europe, which was awesome, but really exhausting as well. I was travelling solo around the continent, lugging my massive suitcase up and down rickety stairs in dodgy hostels, and at one point even had my camera stolen. (I know, A-holes!) But with all that adventure behind me, I was finally back in comfortable London (staying with an aunt), about to fly back home to Melbourne, and treated myself to some Max Brenner goodness. I sat by myself on the top floor of Harrods, and enjoyed a rich suckao hot chocolate and a huge chocolate chip cookie. I felt like I was having the most decadent, indulgent treat ever. 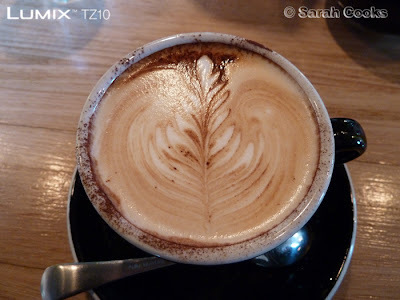 You can imagine how excited I was when I came back and learnt that Max Brenner was opening up in Melbourne! That was 6 years ago now, but I can honestly say it's never been that good here. I mean, I like their food and drinks, but they are overpriced. And the service has deteriorated greatly over the past few years. It seems uniformly poor across the different outlets - confused, slow and inefficient, especially during busy periods. If you're paying $6 for a hot chocolate, shouldn't table service be part of the deal? Or at least a clean table? Or the ability to flag down a waiter if you want some water? But, I suppose if you have a bit of cash to splash and you're not in a hurry to get anywhere, why not? I went with some friends a couple of months ago, and had a pleasant enough time. (I must say the company was far superior to the cafe experience!) I can't remember if it was me or someone else in the group who suggested chocolate that day, but at any rate, apologies to the D-man for putting him through the stress of their ordering 'system'! But having said all that... we did get our food in the end, and I definitely enjoyed it! 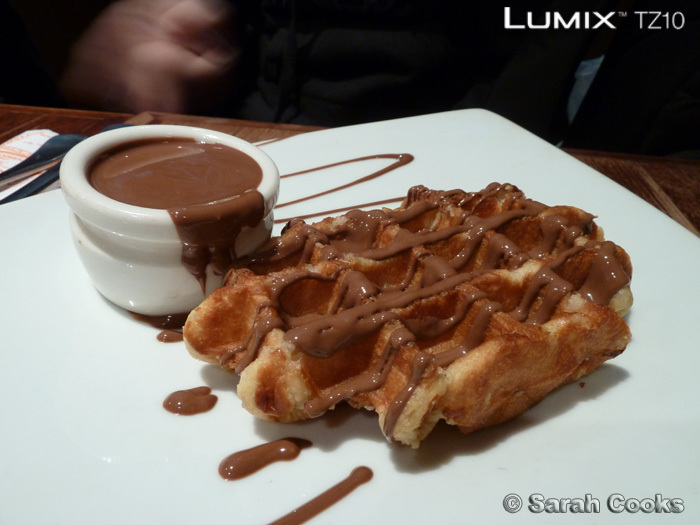 Waffle with chocolate sauce - yum! I didn't order one that day, but my fave thing from Max Brenner is their chocolate babka. Now that is something I should totally figure out how to make at home. 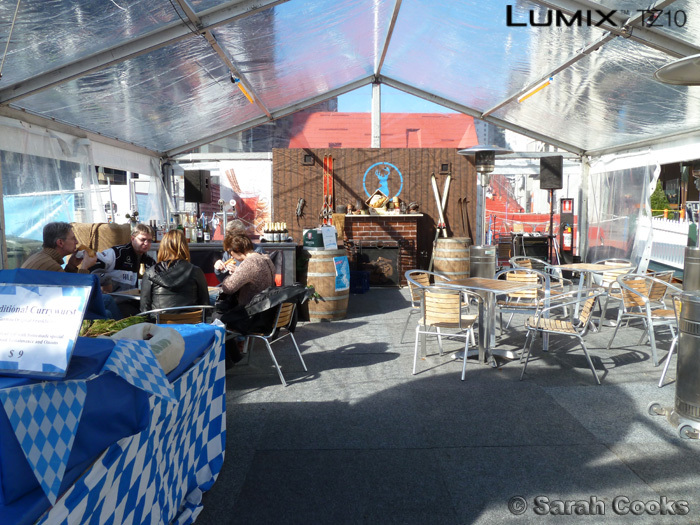 And finally, some pics from the Winter festival held at Southbank back in August. ... but was rid-onk-ulously overpriced and just, well, a bit crap. Looking back on it, I'm not sure what else I would have expected from a festival - cheap prices and no queues? - hardly. But oh well, we live and learn. I was not paying $8 for a paper cup of Gluhwein! Not unless it's a proper Christmas market and there's snow and Bratwurstfilzl and Flammkuchen and roast chestnuts... We stayed at the festival for about 20 minutes and then went for pho, hehe. 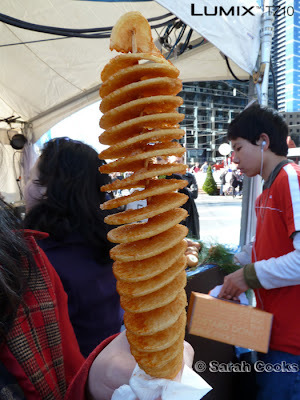 It's a potato, cut into a giant corkscrew shape and deep fried on a stick! Genius! Super-expensive at $5 (WTF!!) but I just had to try one. Giant-deep-fried-potato defeats rational thought, every time. It was crunchy and soft and yum! I doused it liberally with paprika and salt for added deliciousness. i love the hurricane potato... guilty goodness! so this is gonna be the last of the lumix??? Ooh, that kinda reminds me of curly fries in Singapore. Haha. And I don't like Max Brenner. Give me Koko Black anytime! That potato is SO FREAKIN YUM! I had it at the Melbourne Good Food & Wine show. What's not to love about crispy, tasty, deep fried potato?! My favourite thing at Max Brenner is the chocolate babka too, though I always end up regretting ordering that plus a hot chocolate. Massive chocolate overload! 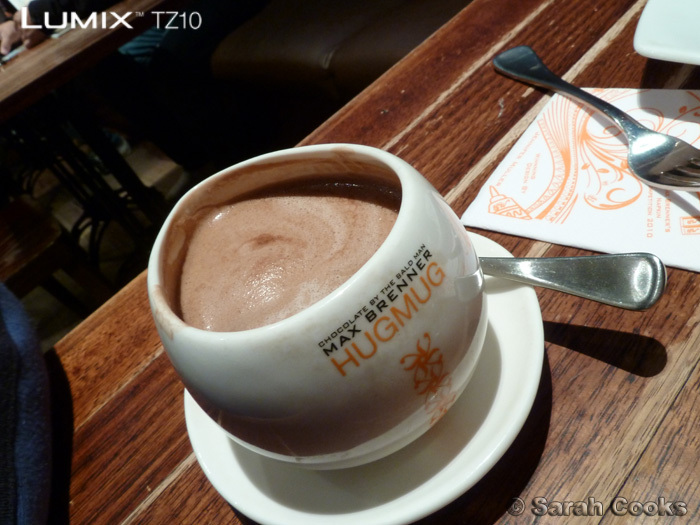 oh i miss the Max Brenner hug mugs! Such a simple concept, such a huge impact (on me anyway - I do love to hug my hot choc!)... and hurricane potato? ZOMGAMAZING. @almostalwaysravenous - Yes, hurricane potato is seriously yum! Re: the Lumix, this was the last of my posts specifically for the campaign, (i.e. with the watermark and everything) but I'll still keep it! @Penny & @April - I know, right? Crunch crunch yum yum! One thing I *can't* try to make at home, haha. @Catty - I have some Nigella Lawson ice-cream bowls/hug mugs, but they're too big for hot choc. Can't see myself splashing out on Max Brenner ones though! 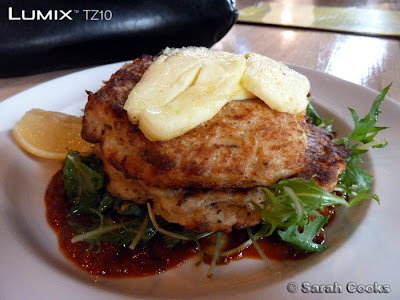 @My Restaurants Melbourne - It was pretty yum!